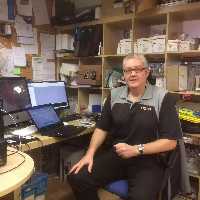 Established in 2006 by Gordon Munro, the business is based in Dingwall, Inverness, Highlands, where we enjoy running a busy service centre and computer tech shop. 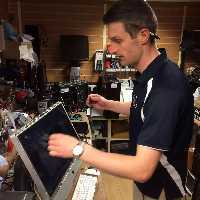 We fix and sell all computers, install enhanced Wi-Fi, install quality CCTV, and provide great home/business help packages that provide customers with what they need, which is fast computers and complete "peace of mind". Qualifications include HND Computer Studies, Microsoft, Networks, Datacoms, Wireless, Cabling, Unix, Teaching and Electronics. 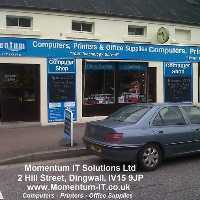 Gordon Hugh Munro owner of Momentum IT Solutions Ltd is a local lad, who specialised in IT, Electronics, Computers and Avionics in the military after finishing his schooling at Dingwall Academy in 1974. 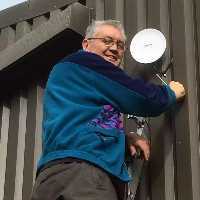 (Retired 2006 from Atomic Weapons Establishment, Aldermaston) His passion for innovative IT Solutions for each customer coming in through his door and an expertise in problem solving and creativity, plus his helpful friendly manner and eye for detail has ensured the business has grown year on year and gained a reputation for excellence in Inverness and the Highlands. Robbie has been an inspirational addition to the team after leaving the Military in 2011. Developing systems processes and services at Momentum. Harry heads up IT Cyber Security Service and joined the team after leaving the Military in 2015. 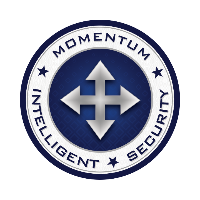 Expanding and developing Security and IT solutions portfolio at Momentum. Louisa joined the Momentum team after many years of running a successful “kitchen range” business. Her customer service energy, accuracy and lunches have been a great addition to the team and she prides herself on offering the best customer experience. Nothing is too much trouble and she is always on hand to offer helpful and friendly advice. Dagmar brings organised service and system process to the team. Focussing on expanding customer support and developing online sales. 24/7 Live Help Desk Support, Microsoft Services with Backup and Data Recovery Services. Momentum Integrated Solutions (MIS) - Expert Cloud and Cyber Security with Help Desk Service provides help when YOU need it and peace of mind.